The discipline of “Space Weather” is built on the scientific foundation of solar-terrestrial physics but with a strong orientation toward applied research. Models describing the solar-terrestrial environment are therefore at the heart of this discipline, for both physical understanding of the processes involved and establishing predictive capabilities of the consequences of these processes. Depending on the requirements, purely physical models, semi-empirical or empirical models are considered to be the most appropriate. This review focuses on the interaction of solar wind disturbances with geospace. We cover interplanetary space, the Earth’s magnetosphere (with the exception of radiation belt physics), the ionosphere (with the exception of radio science), the neutral atmosphere and the ground (via electromagnetic induction fields). 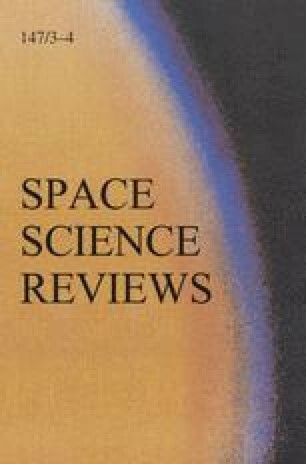 Space weather relevant state-of-the-art physical and semi-empirical models of the various regions are reviewed. They include models for interplanetary space, its quiet state and the evolution of recurrent and transient solar perturbations (corotating interaction regions, coronal mass ejections, their interplanetary remnants, and solar energetic particle fluxes). Models of coupled large-scale solar wind–magnetosphere–ionosphere processes (global magnetohydrodynamic descriptions) and of inner magnetosphere processes (ring current dynamics) are discussed. Achievements in modeling the coupling between magnetospheric processes and the neutral and ionized upper and middle atmospheres are described. Finally we mention efforts to compile comprehensive and flexible models from selections of existing modules applicable to particular regions and conditions in interplanetary space and geospace.